I debunked this yesterday in Facebook. If you have 2,4 million followers, you really should pay attention to facts and attribution. The picture is obviously photoshopped, but it was created by somebody on Instagram. One of my Twitter followers found a photo that was used to create this photoshop job. The photograph was taken by Dominic Kamp in 2009. 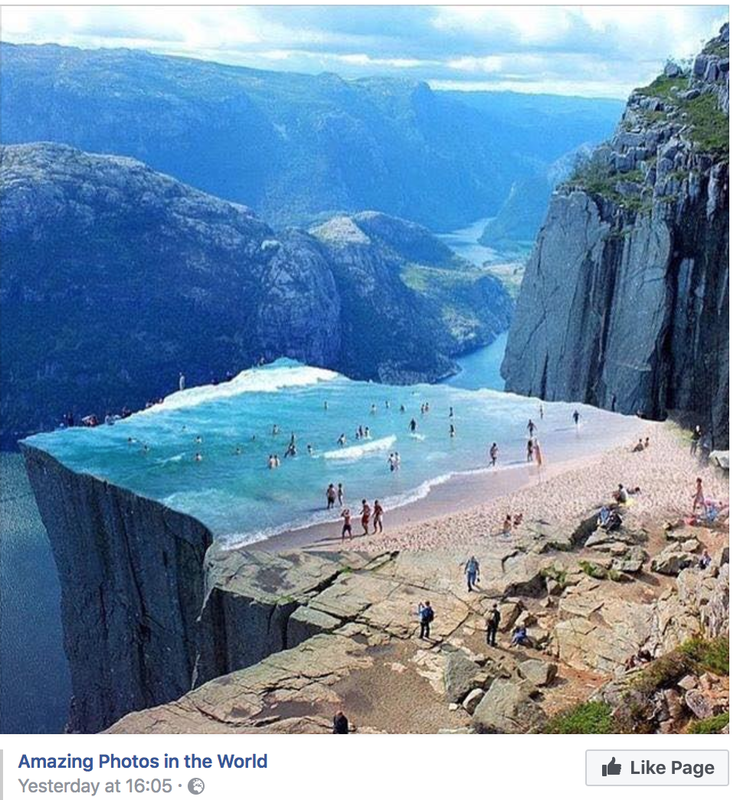 This is not the first time Amazing Photos in the World page posts fake or unattributed photos. They actually do it all the time. Facebook allows this, because apparently there are no complaints from the artists whose photos are stolen. Facebook users should simply unfollow accounts like this. Please follow me on Facebook: I’ll try to keep up with picture spammers and fakes/hoaxes, but I can’t do it alone. Send me a message or guest post in case you want me to take a look at some suspicious post or photo.